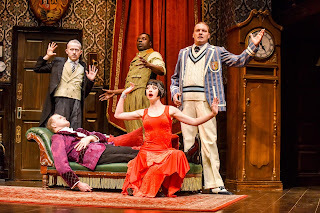 A laugh out loud, runaway train of comedy mishap and perfect timing, Mischief Comedy's The Play That Goes Wrong takes every amateur dramatic company's worst nightmare and turns into into a hilarious triumph. 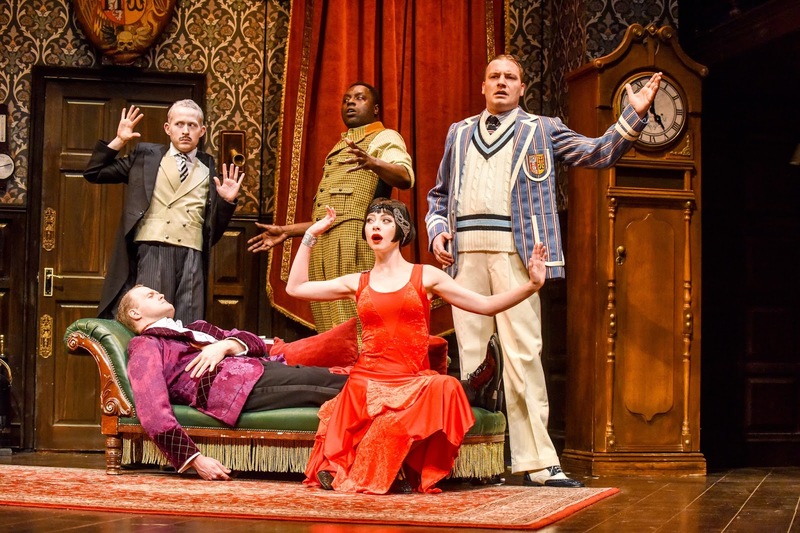 Nearly four years after it premiered in London, The Play That Goes Wrong continues to delight and leave audiences fearing for their stomach muscles as the slick cast create unstoppable laughter. This intelligent and extremely clever comedy brings laugh after laugh as the knowing looks from the cast bring the audience on this crazy ride with them. Based on the premise of amateur dramatic society Cornley Polytechnic presenting the fictitious Murder at Haversham Manner, even the preset sets the tone as panicked stage staff rush to sort malfunctioning scenery involving unsuspecting audience members and creating the atmosphere for chaos. Mark Bell's crisp direction requires impeccable timing that's delivered with ease by the outstanding cast. Nigel Hook's creative set design is put to work and almost becomes an additional cast member such is its integral role to some of the hilarity. The whole cast work hard to create the engine that becomes this runaway train leaving chaos in its wake. To single out individuals would take the entire review such is the fantastic contribution from each cast member to this superb production. As the play reaches its crescendo the energy, and anarchic edge on stage make it almost possible to see everything and The Play That Goes Wrong certainly demands a second viewing to catch every subtle joke and comedic moment. Side-splittingly good it's an unmissable treat.